Suited for professionals who really want to progress their playing. 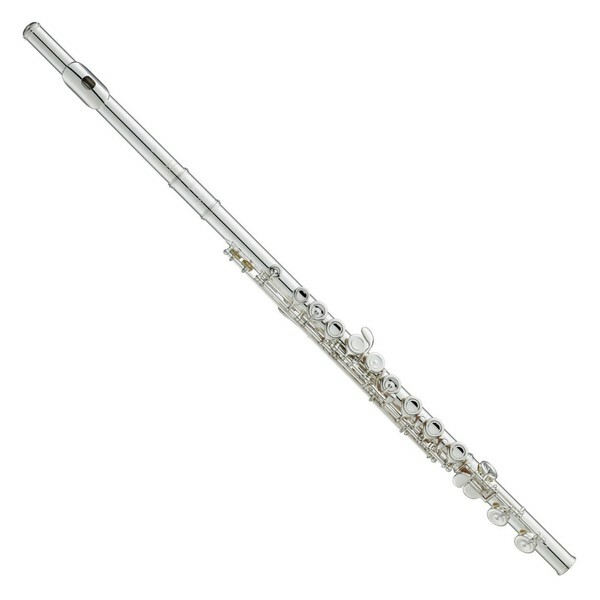 The Yamaha YFL517 Professional Hand Made Flute offers a well balanced resistance, a rich, warm tone and excellent projection. Allowing the fluitist to produce a colourful sound across a wide dynamic spectrum, the upgraded AM headjoint provides freedom for musical expression. A special heat treating process called sound annealing has also been added for a quicker, more lively response. The nickel silver body is built durable whilst also producing a warm, full tone with outstanding projection. 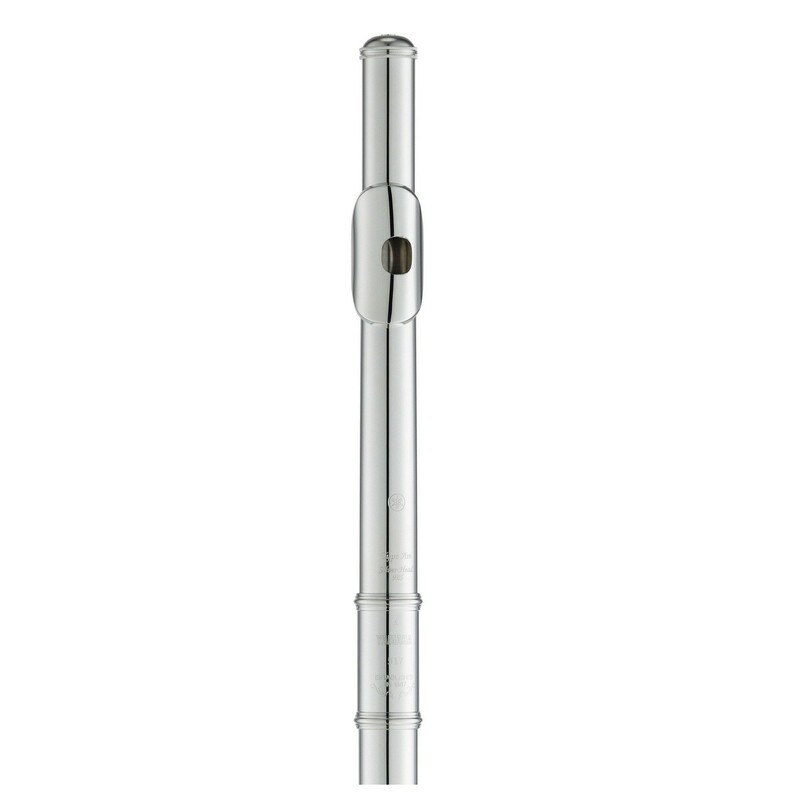 Perfect for extended periods of use, the sterling silver head joint and lip-plate have a more comfortable feel. 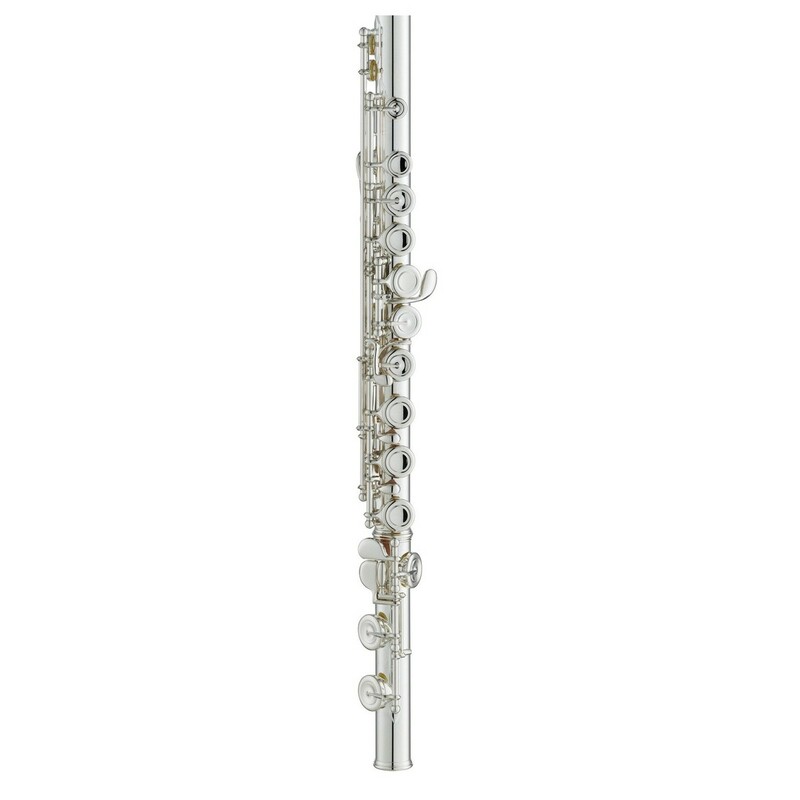 For musicians requiring a modern sounding flute with exceptional playability, the YFL517 is an ideal choice. This model comes equipped with a hard case and soft carry bag. Setting new standards for musicality, craftsmanship and expression, this flute benefits from the technical knowledge of some of the most gifted artisans in the world. There have been a number of significant improvements made to this new and improved instrument. The new Type AM headjoint is crafted out of sterling silver and features a well balanced resistance over the entire range, allowing you to produce a colourful sound in a wider dynamic spectrum. For a quicker, more lively response, Yamaha have added a special heat treating process called sound annealing. When coupled together, the whole range is given new possibilities for expression with both an easier response and excellent balance. The silver plated keys adapt both traditional pads and stainless springs. They're hand-assembled and meticulously balanced for a perfect touch. The ergonomic design gives you the impression that the flute was custom designed for you. Performances feel effortlessly natural thanks to the keys precise weighting. Yamaha's 500 series of flutes offer musicians the high quality and sophistication of a handmade product, along with easy playability. The offset G system is ideal for modern players who require a more natural playability for long performances. The 500 series' tone-style is shaped around versatility, featuring a combination of a nickel and silver body, to achieve a balanced sound. The pointed key arm design not only looks stunning, but offers a preferable feel too. For professional musicians who require practicality and comfort with an outstanding tone, the 500 series is ideal.